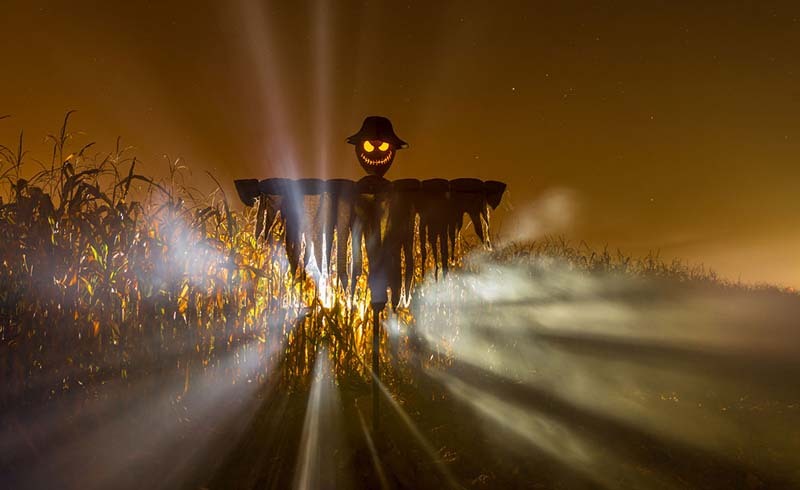 Haunted houses aren’t the only places worth visiting in celebration of Halloween! This list of creepy destinations will give you the shivers no matter when you visit. These creepy, spooky, scaretastic destinations will leave you screaming this Halloween—and probably until next Halloween! There’s a lot of arguments one can make for Halloween being one of the coolest holidays of the year. First of all, it falls smack dab in the middle of autumn (in the Northern Hemisphere, anyway! ), so you know the weather’s great. Furthermore, Halloween is fun. Kids get the obvious benefit of trick-or-treat candy and awesome costumes, but grownups can get in on the festivities as well. To that end, we’ve provided a brief list of some of the world’s most freaky-fantastic destinations. From a cursed forest to a petrified lake, there’s a world of creepiness to explore. Why stop at October? These destinations will send shivers down your spine the whole year-long. Lake Natron would be one of the most serene and picturesque lakes in Africa—if it weren’t a terrifying pool of mummifying horror. Blood-red (thanks to the native bacteria within it) and steaming hot, Lake Natron’s most alarming feature is its high alkalinity. With a pH between 9 and 10.5, the water is hostile to most animals that touch it. It’s also surrounded by flocks of flamingos. Sometimes these birds die in the water, and the high percentages of sodium and soda in the water have a calcifying effect on the corpses, which become rock-hard and petrified like stone. Photographs of the haunting “stone birds” of Lake Natron went viral last October, proving once again that nature needs no supernatural augmentation to scare the sugar out of you. Most people can expect a fairly mundane final resting place; a nice cozy grave, perhaps, or a symbolic scattering of ashes in the wind. For a few thousand folks who died in Poland in the eighteenth century, however, eternal rest has meant a room with a view. The Skull Chapel is a macabre monument to mortality built by Wacław Tomaszek, parish priest and consummate grave-robber. Father Tomaszek was inspired by a pilgrimage to the Capuchin cemetery in Italy, and set out to build his very own bone church. Some 3,000 skulls line the walls of the tiny, Baroque-style chapel, and it’s believed that tens of thousands more are interred in the basement. One set of bones is Tomaszek’s own. They call Aokigahara the “suicide forest,” and not for nothing. This tranquil forest at the base of Mount Fuji holds the dubious distinction of the world’s second-highest suicide rate, right behind the Golden Gate Bridge. It’s said that the very trees are haunted by wandering spirits here. That’s up for debate, but here’s a true-life, decidedly eerie fact: Compasses won’t work in the forest, thanks to deposits of magnetic iron in the volcanic soil. Many hikers go here for the gorgeous views of Mt. Fuji, but others go to see for themselves whether the souls of the lost really do shriek through the night. Woodsy, serene Salem is best known as the site of the infamous, eponymous witchcraft trials that rocked New England at the end of the seventeenth century. Twenty townspeople met their demise after being accused of occult doings, and today Salem remains closely associated with magic and spiritualism. Whether you want your cards read or simply relish a bit of spooky Americana, this destination packs both historical fascination and an undeniable creep factor. Naturally, Salem goes all out for Halloween. The town organizes events throughout October, culminating in a trick-or-treat event to beat all. Atop a hill fortress is the ancestral hangout of the man who has inspired centuries of vampire lore—Vlad Tepes, alias Vlad Dracula. 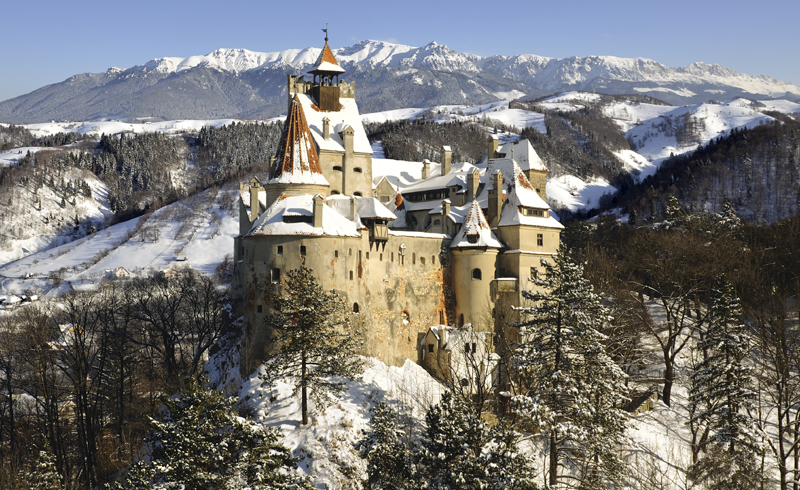 The connection between Bran Castle and Vlad the Impaler may be tenuous at best, but it hasn’t stopped this gorgeous castle from becoming the focal point of Dracula mania. Beyond the gift stalls and schlocky tourist stuff, there is a gorgeously preserved castle with exquisite old furniture and housewares on display, as well as scenic gardens. Your turn, travelers—what’s the scariest place you’ve ever visited? Roadside rest stops don’t count.